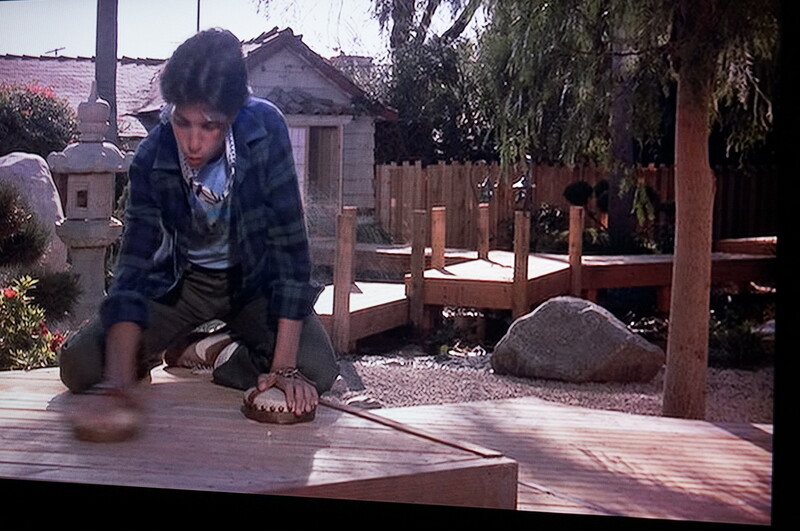 Getting in the right mind set with Karate Kid. I watched this classic for the first time. My advice: Skip the first 15 minutes (Kid gets beaten up 3 times) and watch from where the fun begins. Wax-on, Wax-off. Repeat until proficient in garden maintenance and/or Karate. 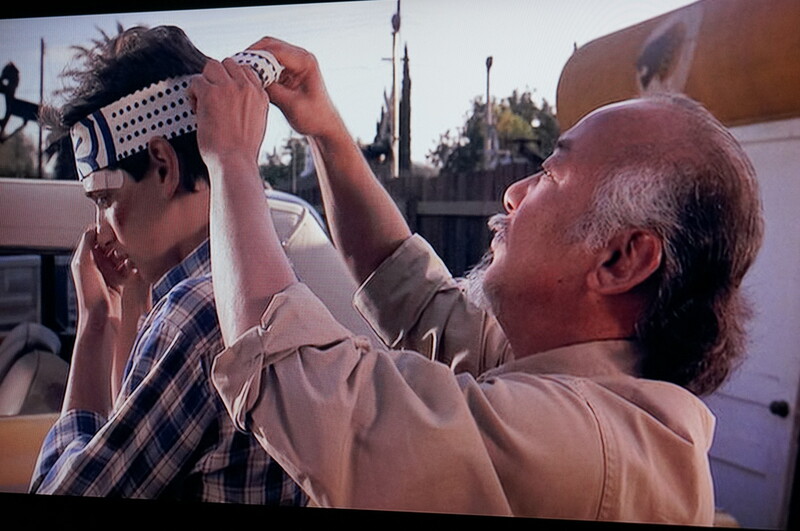 Mr. Miyagi is surprisingly funny. And I although I hear the words, I only understand half of what he wants to say, so that is a great preparation to the vagueness of the Japanese language. 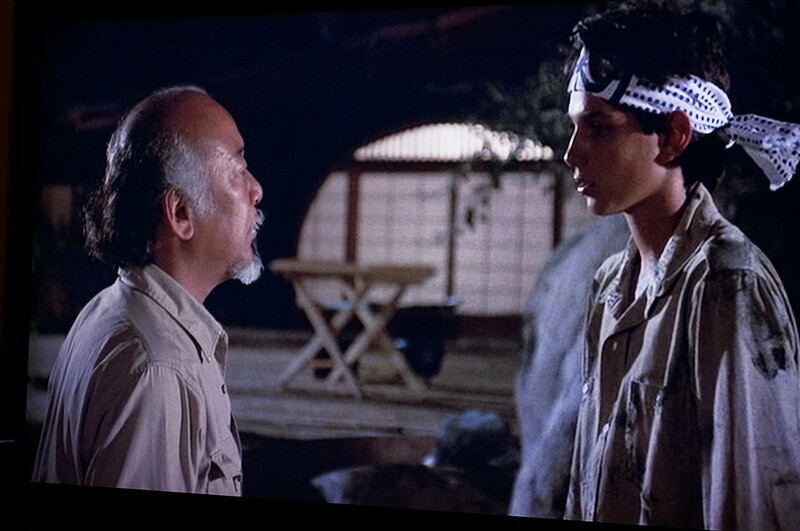 The only thing that bothered me is that Mr. Miyagi refers to Daniel as Daniel-san. An old Japanese man would never do that, especially not if the kid is the student. It would always be Daniel-kun.